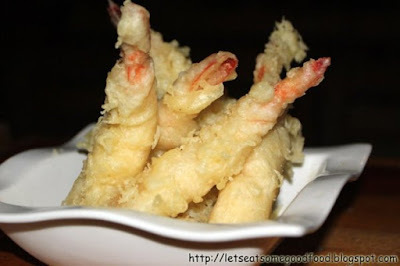 Shrimp Tempura Recipe – Eats Yummy! Shrimp tempura is a good food meal and a well-known Japanese dish. If you are a seafood lover, you shouldn’t miss eating this good food when dining out. But regardless if you love Japanese food or not, you shouldn’t be missing eating it when going out anyway, hehe. Shrimp batter in tempura mix; there is no way resisting this yummy and easy recipe. Try cooking this food recipe for Shrimp Tempura and satisfy your appetite at home now! Combine flour, water, egg (save some flour for dusting the shrimp) in a medium bowl. Whisk lightly until mixture are combined. The batter will be slightly lumpy, dont worry it’s ok. In a shallow dish, pour remaining flour. Dredge shrimp in flour and then dip into the batter. Pour cooking oil in a deep-fryer with a depth of 4 inches. Heat over medium heat about 350 degrees F. Test the oil by putting a pea-size drop of batter on it. It should float but does not swell. Fry in batches for 2 to 3 minutes per batch, turning to brown on all sides. Remove from oil and drain on a cooling rack over a baking sheet. Serve hot with tempura sauce. Combine water, soy sauce, sweet rice wine, and seafood stock in a small saucepan. Reduce the heat to medium-low and simmer for 10 to 15 minutes, stirring frequently. Tempura batter is so much better than a crumb batter. Your shrimp looks amazing-yum! Wow. Your tempura is cooked absolutely perfectly. Thanks so much for sharing the recipe. What is truly amazing about tempura is the simplicity of its batter,the procedure and the lovely taste! :-) Thanks for sharing.. I am following you now,please drop by my blog – it is about Food and Drink too! Very interesting recipe, shrimp is my favorite food, thanks for share. Follow #87.
i usually have it some sugar and spice some chili..i will try cooking it..nice blog.. Very interesting recipe, This Delicious ! I can not cook but the shrimp is my favorite menu, especially when the cook with your recipe, would invite the appetite, thanks for the recipe.